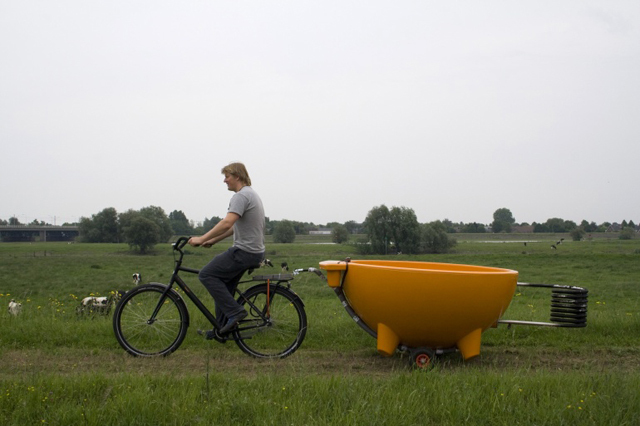 How cool are these portable, wood-burning Dutch tubs by Weltevree? 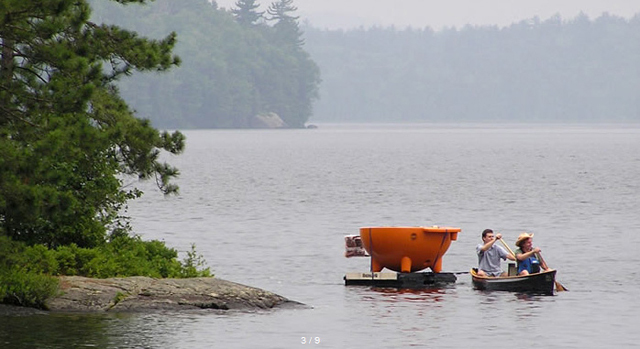 They weigh just 165 pounds, so you can cart one around with you (hitched to your bike, on top of your car, on a raft behind a canoe even!) 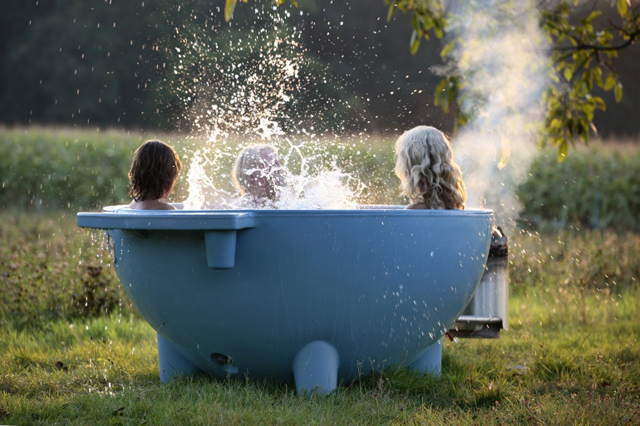 and take an off-the-grid soak wherever you end up. 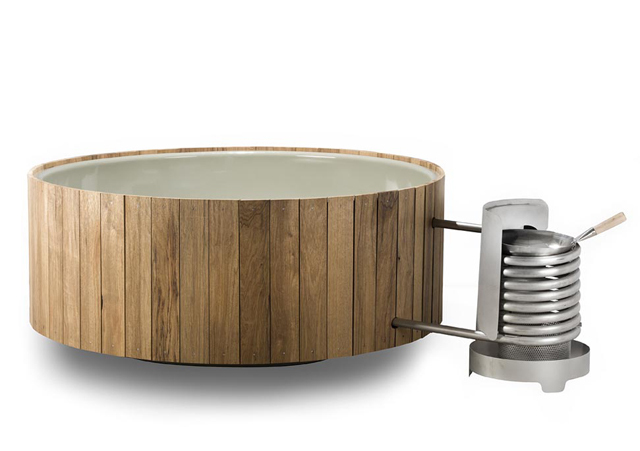 The smart design allows a wood fire to heat a coil that causes hot water to rise and circulate into the tub while cold water flows into the coil to be heated. Plus, you can cook your dinner in a wok above the very fire that warms your tub. 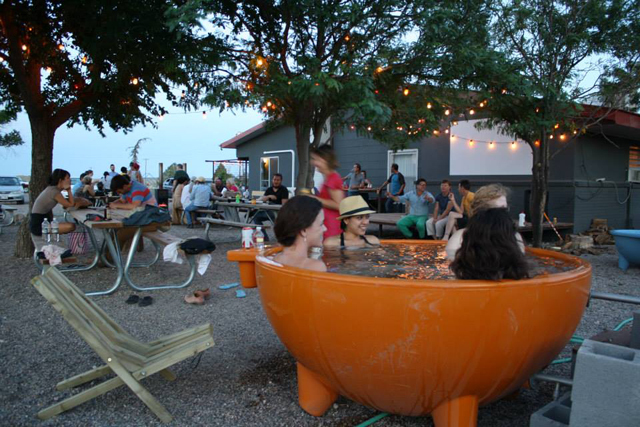 I discovered these when El Cosmico announced they were getting a couple — as if I needed another reason to get to Marfa, stat.